Recovery Mode vs DFU Mode: What’s the Difference? But before we explain how to put your iPhone XS or iPhone XS Max in Recovery mode, let us first understand the difference between DFU mode and Recovery mode. DFU mode is short for Device Firmware Update mode. It is a special mode that allows the iPhone to interface with the iTunes software on a Mac or PC, but without invoking the iBoot process. Since it bypasses the iBoot (the bootloader in iOS devices) process, DFU mode can be used in different situations including upgrading iOS firmware, downgrading iOS firmware, and even rebooting your tethered jailbroken device. When your iPhone is in DFU mode, the iPhone screen will be totally black. How to Put Your iPhone8/iPhone 8 Plus/ iPhone X In DFU Mode? Unlike the DFU mode, putting your iPhone in recovery mode invokes the iBoot process. It ensures that the user is actually attempting to install a signed firmware version that is equal to or greater than the one that’s already on the iPhone that’s in Recovery mode. 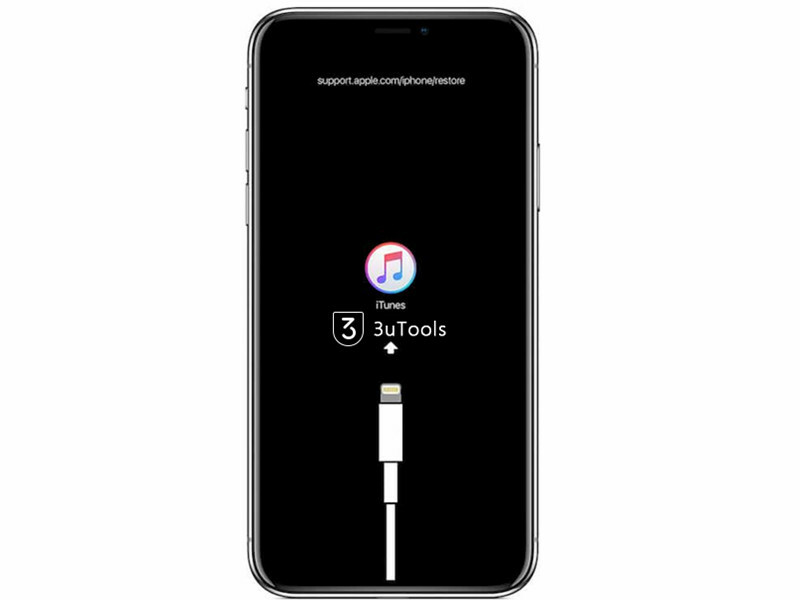 Connect your device with 3uTools, you could enter Recovery Mode by one click. 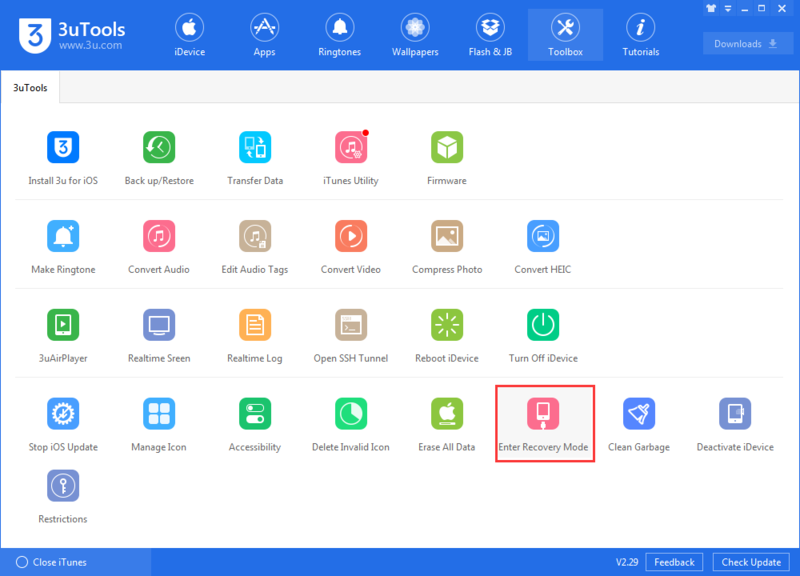 How to Force Restart, Enter DFU Mode, Recovery Mode for your iPhone XS and XR?